Beginning to look into custom QR code design, and found a lot of pretty interesting stuff around. Going to be creating some codes and playing around in Gimp to see how much I can get away with, seeing as there seems to be a fairly huge error correction built into them (around 30%) so hopefully I’ll be able to do something quite unique, probably incorporating some of the helmet-style photography that I use for Mannequin Licker imagery. 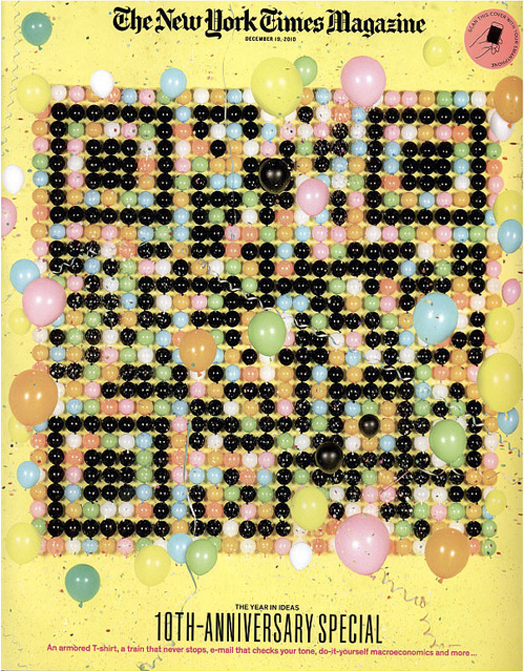 New York Times (December 2010) - I love this balloon idea, but cant seem to get it to work on my readers.